Whether it’s Inca-style polygonal masonry with tight joinery, stately big-block ashlar Old World, British fieldstone boundary walls, or a Northwest look we both create together, our walls not only hold things up, they stand the test of time. This wall on Mt. Tabor is among our favorites- tight, well-carved, yet with a very informal organic flow. Medley of Pacific NW stone, very tight, soon to be ideal backdrop for riotous, overflowing ornamentals. 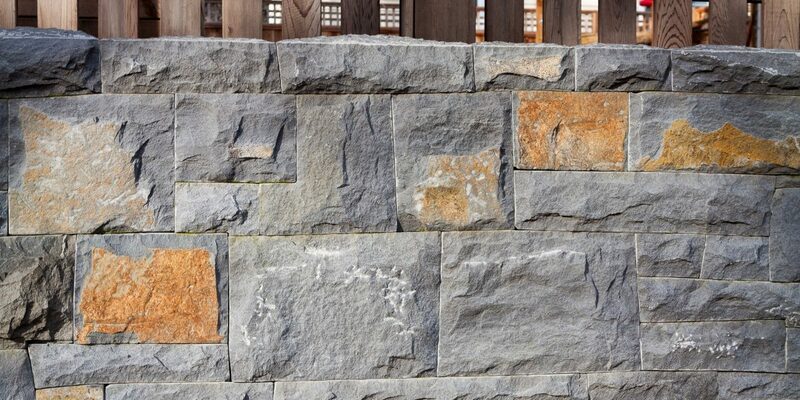 Central Oregon ranch wall utilizing local stone. Portion of intricate garden retaining wall. Centerpiece of shaped basalt column we called “The Dolphin”. Mt Tabor area.